And be sure to visit Sterling Kingbrook Auctions for our latest auction of over 600 lots! Join Us February 2 for our first auction of 2019! Mark your calendars: Saturday June 23, 2018, our second auction of 2018! My heritage is Belgian. My parents were both born in Belgium and came to this country in 1952. 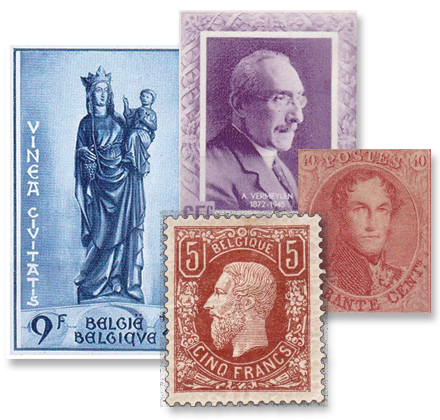 My father, Gilbert, was an avid Belgian stamp collector (and from whom I acquired my philatelic interests) and basically had everything that was Scott listed. With my help, we started acquiring the weird and esoteric unlisted stamps, post cards, covers, and anything else we thought was interesting. Dad left us several years ago, but I continue to build upon what we built together as father and son. I caught the philatelic bug from my father at the young age of 5. After dinner my brother and I would sit with my Dad at the kitchen table almost every evening after dinner sorting stamps that we acquired through the mail, at the five and dime stores, and from relatives in Belgium and Canada. I mounted my stamps on construction pages with hinges and tried to get as many different stamps as possible from all over the world. I as grew into my teenage years, I put my stamps aside as school and other activities took over. I graduated in 1984 with an Engineering degree from Wayne State University in Detroit in 1984 and started my engineering career with American Motors Corporation in Detroit. A few years later my parents brought over my stamp collection and I caught that bug all over again – and now I had some spending money! I started attending some local Michigan shows, focusing mostly on USA stamps but soon accumulated so much foreign stuff that by 1991, I decided to start stamp-dealing part-time. At the time I was living in Sterling Heights, Michigan and thought that the name “Sterling Stamps” had a nice ring to it. Although the family relocated out to the Brighton, Michigan area, I kept the name. Sterling Stamps has been in business for about 25 years, and full time since 2008, with a brick and mortar location in Brighton, Michigan. We now do about 25-30 shows per year – mostly in the Midwest but also some nationally-accredited shows in Baltimore, Atlanta, Boston, and many other locations. Occasionally you might even see us at an APS show! 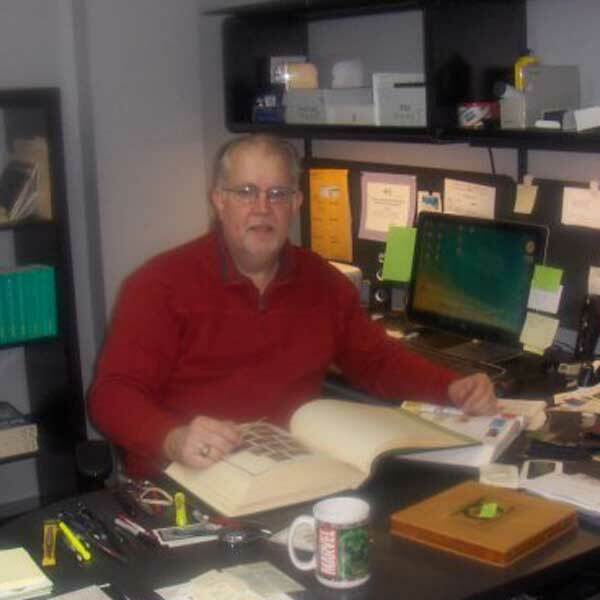 We serve philatelists, beginner to advanced, with one of the largest retail inventories in the country and hope to keep doing so for many years to come!